After a prolonged absence due mostly to illness, Nurse Angry writes again, this time with a terrible confession. Walking to work one day, Nurse Angry had a classical radio station on and was entertained by the sweet strains of Brahms’ Double Concerto for violin and cello. Or at least what she could hear through the sound of passing traffic. Following Brahms was a piece of organ music. Nurse Angry does not care who wrote organ music or who is playing it. It all goes under the same category. It reminds her of her youth when a program called Pipe Dreams would come on NPR and even Nurse Angry’s mother would turn the radio off. Nurse Angry’s whole family is highly allergic to organ music, it makes our brains implode. This time, Nurse Angry listened and the organ music was not all that bad. But it was bad enough that the piece that followed, a suite from a well-known musical played with a viola soloist, sounded good in comparison. After that things went from bad to worse. Or did they? Next up was the slow movement from Mozart’s Clarinet Concerto. Ugh, clarinet music! 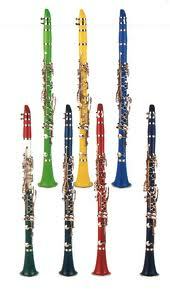 The only thing worse than clarinet music is more clarinet music. Or organ music. Or is it? Nurse Angry has a confession to make: She is a closet clarinet fan. ASSAULT WITH A DEADLY WEAPON!